Astrofarm has an impressive collection of telescopes and imaging cameras available for use by guests who prefer to travel without their own equipment. 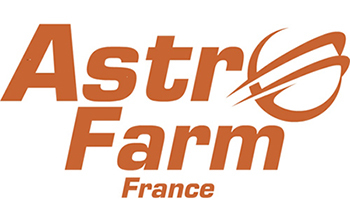 Astrofarm has its own purpose built observatory with a Celestron C11 guided telescope, on a CEM 60 mount with a choice of CCD cameras and a warm room with computer, laptops and imaging software. In addition, the viewing platform enables guests to make use of our solar scope, equatorial mounts and guide systems for smaller telescopes and cameras. Please note that because we can have several astronomers on site at any one time, it is not possible to book exclusive use of the observatory or any specific equipment in advance. Wherever possible we will make sure that you have access to equipment that you need and offer substitutes for a fair distribution of kit. So that you can 'travel light' we have a wide range of equipment at Astrofarm for our guests to use listed below. Throughout 2017 there is no charge for the Astronomy Centre, equipment and resources and there is no need to book the Astronomy Centre in advance if you are staying at Astrofarm.. Please do ask if you need to know anything about our equipment, compatibility or availability.